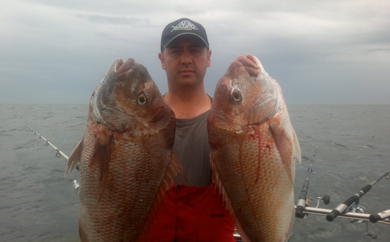 The weekend of the 18th Annual Snapper challenge began with bad weather but this didn’t deter the keen fishermen catching snapper as big as 6kg on the first day. On the final day Sunday the warmer weather attracted large crowds to the Altona Boating and Angling Club Inc. Nick and Eleni from Savwinch were there to promote their products and present a lucky raffle ticket winner with a Savwinch electric boat anchor winch. As first time major sponsors of the event, Savwinch were delighted with the response to their products from visitors including their high quality Australian made products as well as friendly and high quality customer service. Savwinch has become a well recognised brand of boat anchor winches in the Australian boat accessories industry. The event hosted by the Altona Boating and Angling Club Inc was an outstanding success for all involved. A long term relationship has now been forged with the Club which will see Savwinch boat anchor winches continue to sponsor the event in the years to come. 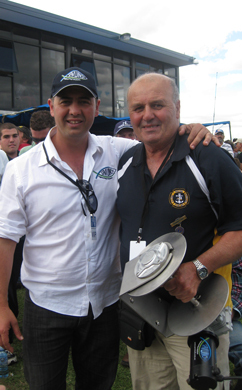 Winner of the 1500w Savwinch was Frank Camilleri of Altona. He carried off the Savwinch with great excitement and told us he was installing it on his friend’s boat who he fishes with. 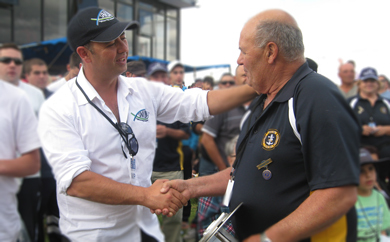 See photos of the event including Frank winner of the Savwinch with Nick, owner of Savwinch below. He just doesn’t sell winches, he loves fishing too. 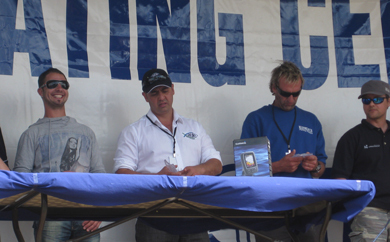 With 1000 entrants into the fishing challenge Nick caught the 4th largest fish weighing at 6kg.